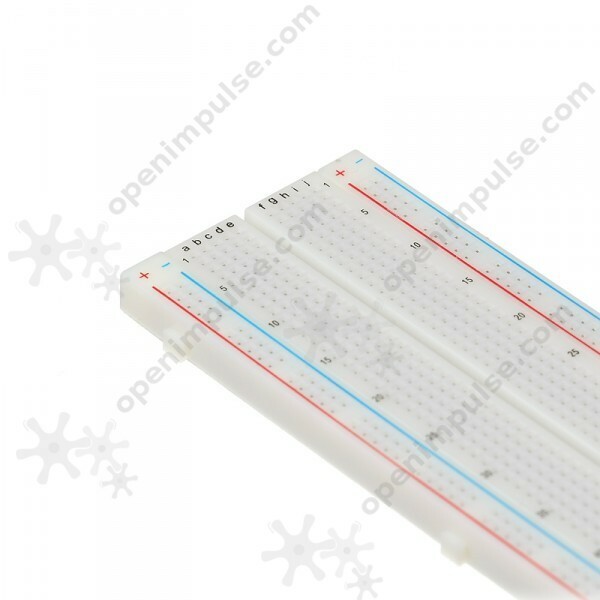 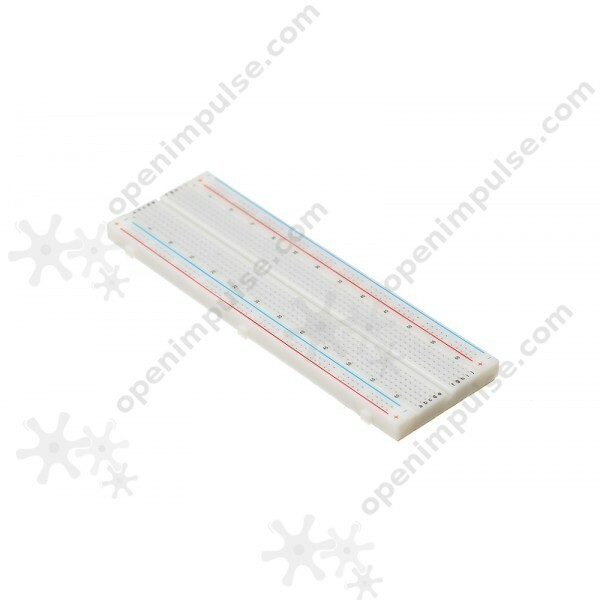 This high quality 830 point breadboard is made of ABS plastic with phosphorous nickel bronze alloy plated contact springs. 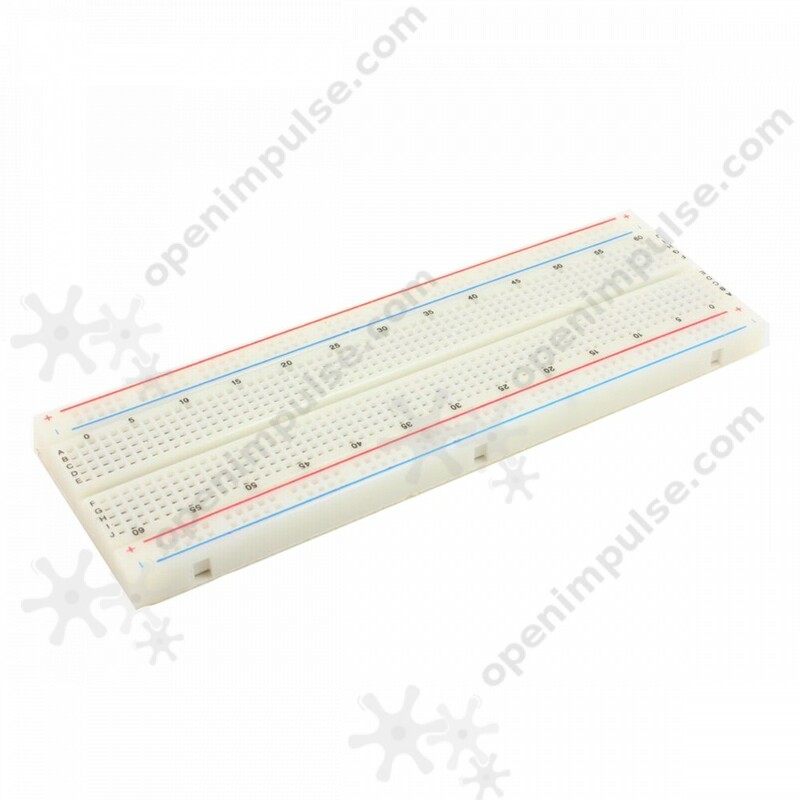 It can be used for fast prototyping of electrical and electronic circuits without any soldering. 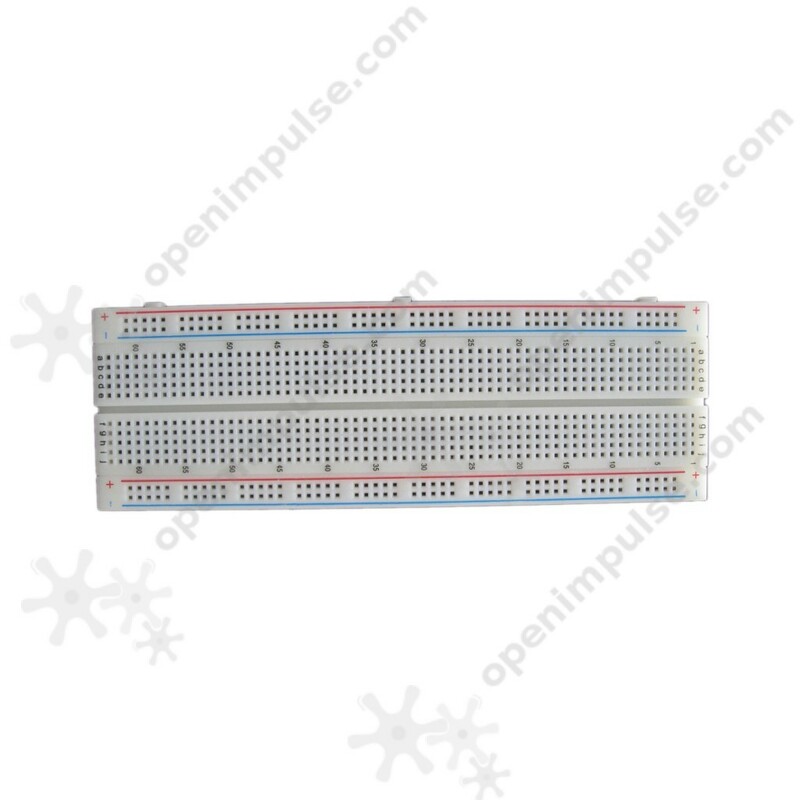 Some of the 830 contact points of this board are connected horizontally and some of them are connected vertically, for convenient use.